LCD INSTRUMENT DISPLAY: Updated LCD instrument pack for clear display of key rider information. TWO RIDING MODES: Adjust throttle response, ABS, and traction control settings at the touch of a button. 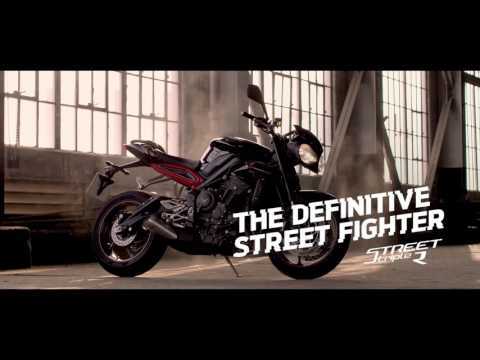 The Street Triple S offers 2 riding modes; Road and Rain. REVISED SWITCHCUBES : Revised switchcubes complement the updated LCD instrument pack and are intuitive and easy to use, allowing the rider to select riding modes on the move or at a standstill. ABS AND SWITCHABLE TRACTION CONTROL: ABS brings a new level of control to the Street Triple, while switchable traction control manages both power and torque when the traction is compromised, maximising rider safety and control. 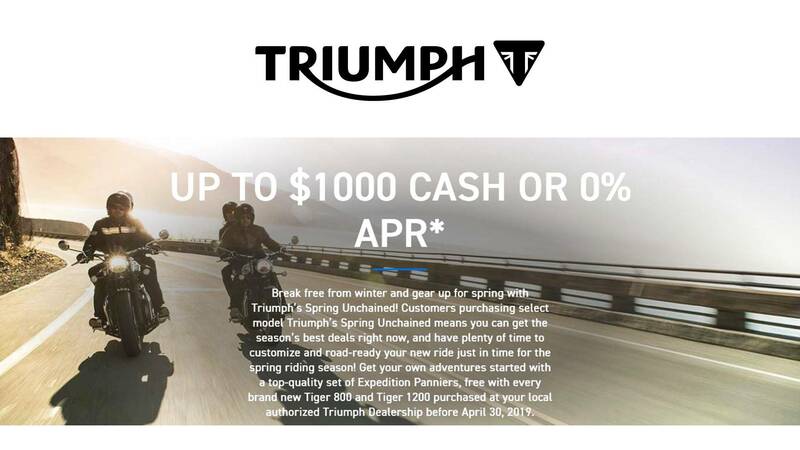 RIDE-BY-WIRE: Crisp, precise, and accurate throttle response, with improved on/off throttle transition enabling different throttle maps which, combined with the ABS and traction control settings, offers two riding modes. LED POSITION LIFHT HEADLIGHTS: The Street Triple S features new LED position light headlights which are 4.6x brighter than the previous generation bulb sidelight. HIGH SPECIFICATION SUSPENSION: The Street Triple S comes with Showa upside-down ø41mm separate function front forks with 110mm travel and a stepped preload-adjustable piggyback reservoir monoshock rear suspension unit. INCREDIBLE STOPPING POWER: The Street Triple S model is fitted with Nissin 2-piston sliding calipers on the front and a Brembo single piston sliding caliper on the back. HIGH SPECIFICATION WHEELS AND TIRES: The Street Triple S gets premium Pirelli Diablo Rosso Corsa tires as standard, delivering sharp and precise handling, as well as excellent stability and grip on the road. 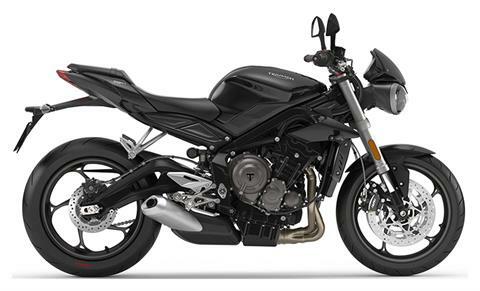 RIDING MODES: Linked to the ride-by-wire system, the Street Triple models have much greater rider control with the introduction of riding modes. You can adjust throttle response, ABS and traction control settings at the touch of a button.The Street Triple S includes 2 modes; ‘Road’ and ‘Rain’. The Street Triple R features 4 modes in total with the addition of ‘Sport’ and a ‘Rider Programmable’ mode. The Street Triple RS delivers the highest level of specification with 5 riding modes to choose from, with the addition of a ‘Track’ mode. DRL HEADLIGHT: The Street Triple line-up all feature headlights designed for a more aggressive stance.The Street Triple R and RS feature distinctive LED Daytime Running Lights (DRL*) built into the headlights. These bring a new eye-catching light profile that makes the bike easier to see out on the road and offers lower energy consumption for greater long term durability. The DRLs are an amazing 28x brighter than the previous generation bulb sidelight.The Street Triple S features new LED position light headlights. The LED position light is 4.6x brighter than the previous generation bulb sidelight. *Please note that the DRL function is not available in all markets – please check with your local dealer. STREET TRIPLE S – REDEFINED POWER AND TORQUE: The engine set-up for the Street Triple S delivers more performance than the previous generation across the rev range, particularly low-down and in the mid-range. The S tune provides more peak power, increasing to 112 HP @ 11,250rpm as well as an increase in peak torque, climbing to 54 Ft-Lb @ 9,100rpm.